Steven M. Huffstutler, DDS was recently honored by the Best Businesses of Fort Worth Award Program in the General Dentistry category. This prestigious program identifies locally-owned companies that positively promote the reputation of the small business community in Fort Worth, thereby making our city a better place to live. The Best Businesses of Fort Worth program focuses on the quality of a business’s marketing efforts, rather than the quantity, since quality marketing efforts have more of an impact across the community. 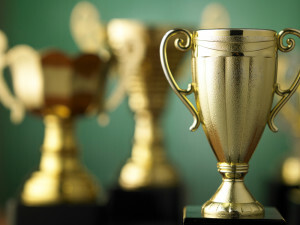 In addition, the businesses that are ultimately named Best Businesses of Fort Worth winners are nominated independently by satisfied customers. Whether we’re promoting our services through our beautiful website or we’re providing a gentle, exceptional six-month checkup in our state-of-the-art office in North Richland Hills, Dr. Huffstutler and our team of caring dental professionals are here to make a difference in the lives of our patients and the Fort Worth community. In addition to providing excellent preventive care, Dr. Huffstutler is a recognized local expert in treating complex TMJ cases, providing the treatment needed to ease TMJ strain while also repairing the damage caused by TMJ and teeth grinding. Dr. Huffstutler is also an uncompromising restorative dentist, who works with a high-end dental lab to provide his patients with crowns, inlays/onlays, dentures, and dental implants that are exceptionally beautiful and long-lasting. Our office also stands apart from the average dental experience. Even though the exterior of our building may look humble, within our office you’ll find a cozy, clean, and beautifully decorated environment sure to put you at ease. We provide a wide range of patient amenities, like soft blankets and pillows to help you stay warm and comfortable during your treatment. Our office also boasts the latest dental technology, like digital radiography (x-rays) and intraoral cameras.